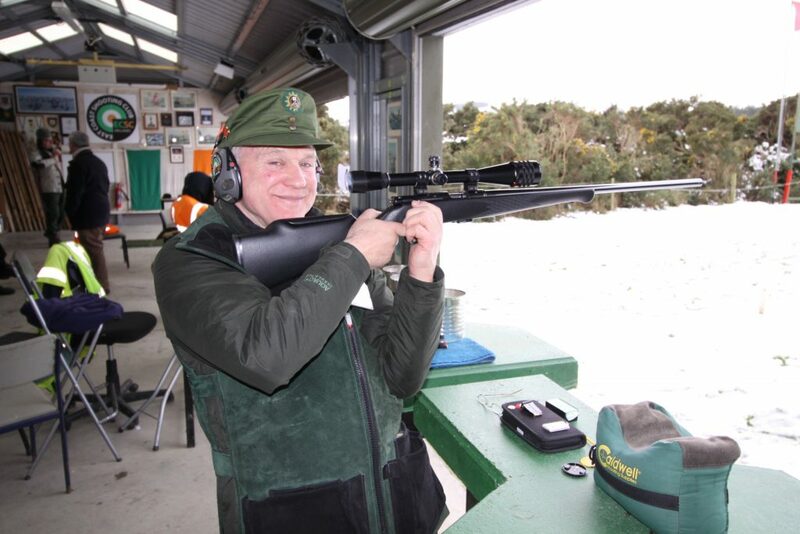 The “Hardy Men” Rifle competition- 3rd February 2019. 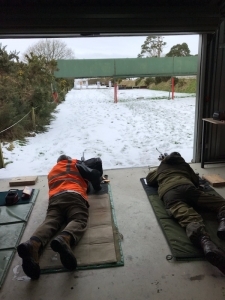 It was a cold, windy start to our Monthly Rifle Competition on Sunday morning. 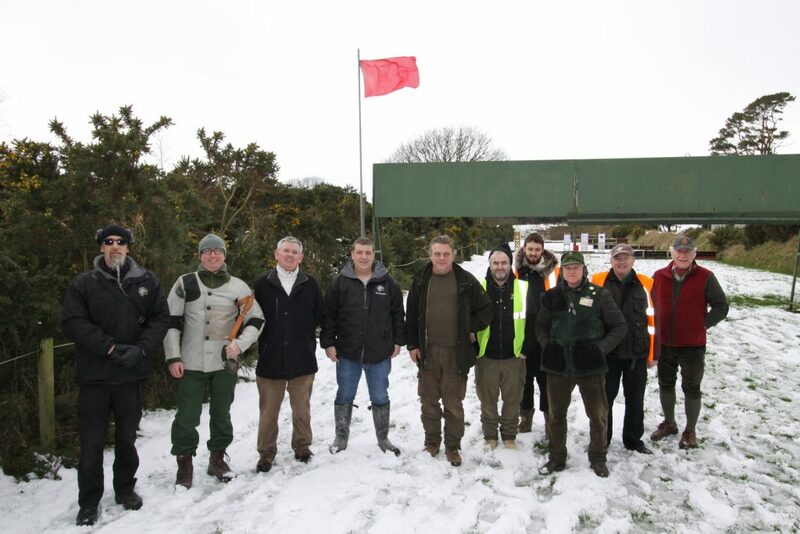 As can be seen in the photos, the snow lay all around and the range flag flew horizontally throughout the competition. Fortunately, the wind was steady, at a right angle to the bullet’s flight, so once your initial zero was established, only an occasional glance at the flag was necessary to maintain accuracy. 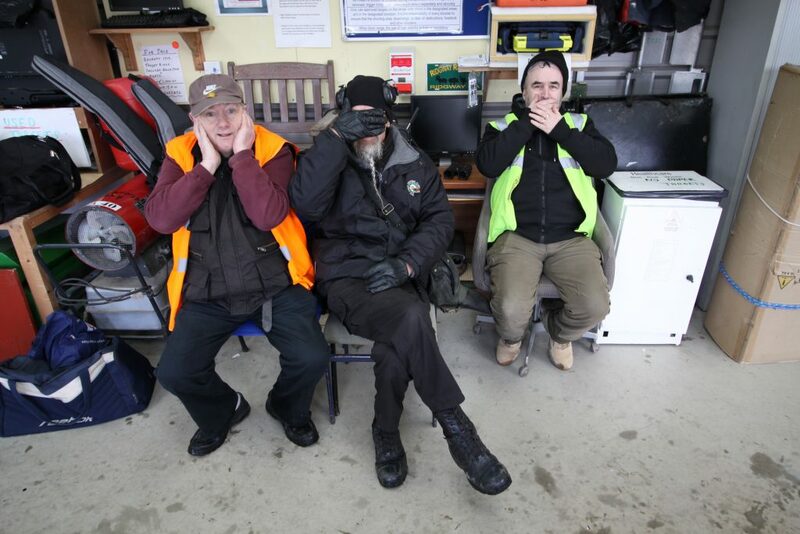 The conditions were harsh so only a few hardy men made it up to Roundwood. They deserve to be commended for their fortitude. On the other hand, those that lay at home in bed, well, what can one say about them? 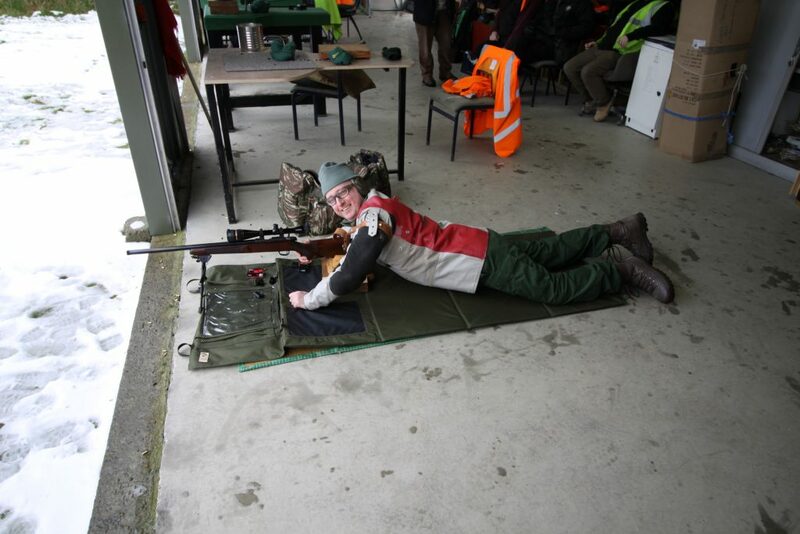 Two competitions were conducted, 50 Metre Precision Rifle Standing and Field Sporting Rifle 50 Metre Prone . The first consisted of one practise card and 3 scoring cards of 10 shots each in 5 minutes. The second consisted of two cards, each of 20 scoring shots and unlimited sighters, shot in 15 minutes each. Results are shown below along with some photos of the happy attendees and an additional photo of the three wise men. 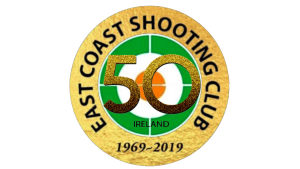 http://eastcoastshootingclub.com/wp-content/uploads/2019/02/ECSC-50th-20190101-300x169.png 0 0 SMCEditor http://eastcoastshootingclub.com/wp-content/uploads/2019/02/ECSC-50th-20190101-300x169.png SMCEditor2019-02-05 10:39:132019-02-07 19:19:27The "Hardy Men" Rifle competition- 3rd February 2019.